Singleton’s Graveyard was the family cemetery of one of the most prominent families in the Sumter area during the late eighteenth and nineteenth centuries. Many of the 43 known graves are of Matthew Singleton’s descendants, dating from 1796 to 1944. The Singleton family amasses fortunes in land and built large neighboring plantations. 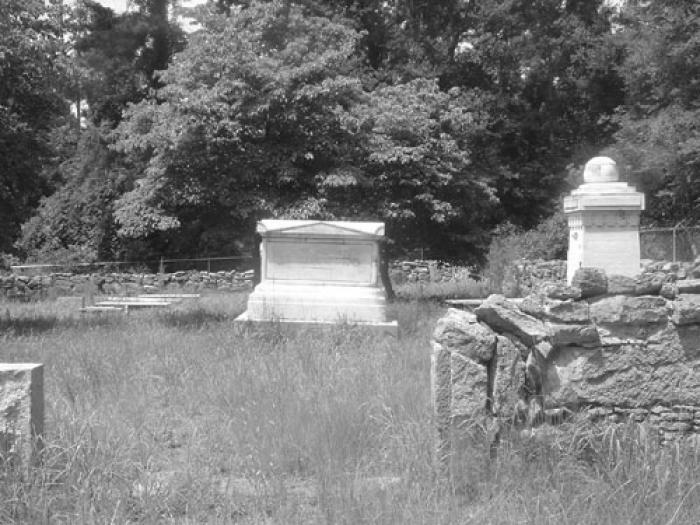 As these plantations were self-contained entities, a family graveyard was established at Melrose. This plantation has long disappeared. Singleton’s Graveyard remains not only as they physical evidence of a prosperous and influential family in the Sumter area, but as evidence of a cultural pattern practiced on plantations throughout the South. Statesman George McDuffie (1790-1851) is also buried in the graveyard. Listed in the National Register May 13, 1976.